We all know that in the beginning of the 20th century many people left our villages in order to find a better life in USA and other countries. Most people who entered in USA from 1892 to 1924 passed from Ellis Island near New York. On that island there were settlements where the personal data of immigrants were registered and medical exeminations were done on them before they were allowed to enter in USA. After an investigation on Ellis Island archives (at the address: www.ellisisland.org) we managed to find the data of the people from Asea who arrived in America by that time. We can see their surname, name, ethnicity, village, date of arrival, gender, family status, the ship they traveled, the port of their departure and manifest number. What made the survey quite difficult was the alterations of the same surname and the alterations of the village name (Kandreva) as you can see below. Finally we managed to confirm 76 people from Asea who passed from Ellis Island. 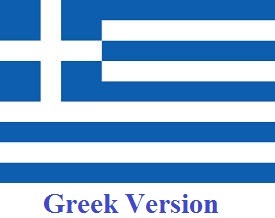 We present here the original list in English and a list with the same names in Greek.